What is it like to be confined to a small cell for 23 hours a day, months and years on end, with minimal sensory stimulation and little or no human contact? How does it affect the brain and one’s psyche? Tricia Idrobo and Justice Rountree will speak about solitary confinement in New Jersey jails and prisons, its detrimental effects on individuals and the community, and initiatives to restrict solitary confinement, including bills A314 and S3261 in the NJ legislature. 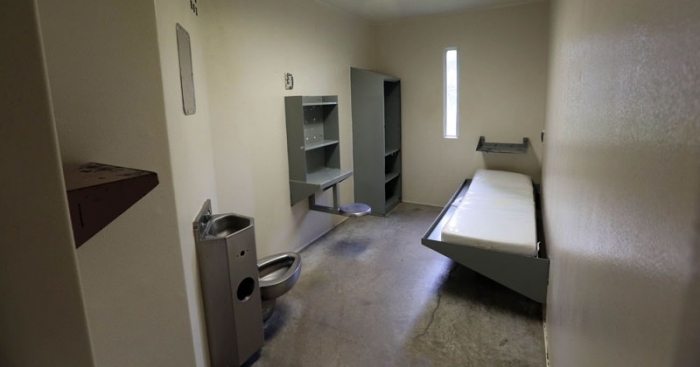 We will also have the opportunity to “virtually” experience a solitary cell. Tricia Idrobo is the point person on solitary confinement for the Criminal Justice Reform Task Force of the Unitarian Universalist Faith Action New Jersey, a member organization of the NJ Campaign for Alternatives to Isolated Confinement (NJCAIC). She is a Spanish teacher and writer residing in Livingston. Marshall Justice Rountree served 23 years in New Jersey prisons. He spent several of these years helping other incarcerated men as a prison paralegal and believes these activities led to him being targeted and placed in solitary confinement. Upon his release from prison, Justice began speaking about his experiences and organizing for social and institutional change. He now works closely with advocacy groups including the Prison Watch Program of the American Friends Service Committee, and the New Jersey Coalition for Alternatives to Isolated Confinement (NJCAIC) through the National Religious Campaign Against Torture.